This summer’s UK budget introduced significant changes to the taxation treatment of Non–Domiciled individuals in the UK. George Osbourne’s changes means that any individual who has been living in the UK for more than 15 of the past 20 years will be deemed to be UK domiciled for all tax purposes. This change of law will mean that from the 16th year of residency an individual will no longer be able to avail of the remittance basis on their income and will be subject to tax arising from all of their own worldwide personal income and gains. These changes provide further encouragement for Non-Domiciled individuals to leave the UK as it is scheduled to take effect as from the 6th of April 2017. Where will UK Non-domiciles now look to in order to maintain the remittance basis of taxation? Well we believe this could be Ireland. The option to avail of the Non – Domicile status in Ireland is available to these individuals who are seeking an alternative jurisdiction that does not have strict time schedules and draconian tax rules enforced on them. Broadly speaking clients with a foreign domicile who are in a position to take up a residency in Ireland can avail of the remittance basis of taxation. This means that a client will only be subject to tax on the income that they remit into Ireland. Other points to consider is that any remittances of capital are not subject to Irish Income tax, this is income which has been earned by the individual at the time when they were not resident in Ireland would be treated as capital in nature and therefore not be subject to income tax when brought into Ireland. With the addition of the increased affordability in living standards in West Cork particularly when you compare this to the likes of the London property market and the currents strength of sterling , we believe that Ireland as an alternative country for availing of the remittance basis on the Individuals worldwide income can provide them with potential significant tax advantages. Like the UK regime, to live in Ireland on a non-domicile basis, a person needs to satisfy a domicile test, which is typically based on where the law considers a person’s home to be. 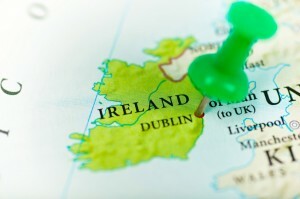 What are the Irish tax consequences of becoming Irish resident but non-domicile? Income from Irish sources is taxable in Ireland. Income from UK or foreign sources is only taxable to the extent of amounts remitted (brought into) here. Remittances of capital are not subject to Irish income tax – income earned at a time when the individual was not resident in Ireland would be treated as capital in nature and therefore not subject to income tax here when brought (remitted) to Ireland. This means that while such individuals will be chargeable to tax in Ireland on Irish source income and gains, they will only be chargeable on foreign income and gains to the extent that they are remitted to Ireland. Where non-domiciled individuals come to Ireland and use their wealth accumulated outside of Ireland to cover their day to day living expenses, it is possible for such individuals to live in Ireland free of tax. Individuals tax resident or ordinarily tax resident but not domiciled in Ireland are liable to Capital Gains Tax on gains arising on the disposal of assets situated in Ireland and the United Kingdom, and on all foreign gains to the extent that those gains are remitted to Ireland. Would the option of becoming Irish resident and non-domicile suit your personal circumstances? Contact caroline@charlespcrowley.com for further details.